Since the late 1990s the share of diesel cars in the EU has risen to around 50% in the fleet, with important variations between countries. There are now more than 100 million diesel cars running in Europe, twice as many as in the rest of the world together. Their NOx emissions are however 4 to 7 times higher on the road than in official certification tests. Modern engine controls have been optimized by manufacturers for the specific laboratory testing but underperform in real-driving. In this new study we calculate the premature deaths from these excess NOx emissions for the population in all European countries. About 425,000 premature deaths annually are associated with the current levels of air pollution in EU28, Norway and Switzerland. More than 90% of these premature deaths are caused by respiratory and cardiovascular diseases related to exposure to fine particulate matter. NOx is a key precursor to this fine particulate matter. This new study estimates that roughly 10,000 premature deaths annually can be attributed to NOx emissions from diesel cars, vans and light commercial vehicles. About half–around 5,000 premature deaths annually–are due to NOx emissions being much higher than limit values in real-world driving. Petrol cars have much lower emissions. "If diesel car emissions were as low as petrol car emissions, three quarters or about 7,500 premature deaths could have been avoided" says Jens Borken-Kleefeld, transportation expert at the International Institute for Applied Systems Analysis (IIASA). The countries with the highest number of premature deaths attributable to fine particles from diesel cars, vans and light commercial vehicles are Italy, Germany and France. That is because of both their large populations and a high share of diesel cars. However, the risk per capita is almost twice as high in Italy as in France. 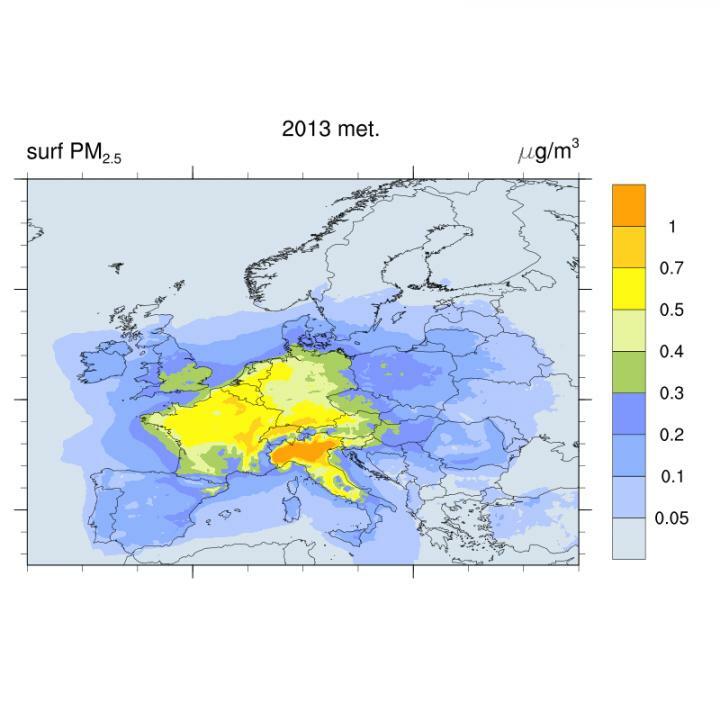 "This reflects the very adverse pollution situation, particularly in highly populated Northern Italy", says research leader Jan Eiof Jonson from the Norwegian Meteorological Institute. The lowest risks are in Norway, Finland and Cyprus where risks are at least fourteen times lower than the EU28+ average. The study was conducted by the Norwegian Meteorological Institute in cooperation with the International Institute for Applied Systems Analysis (IIASA) in Austria, and the Dept. Space, Earth & Environment at Chalmers University of Technology in Sweden. In this study the Norwegian Meteorological Institute has calculated the pollutant concentrations and depositions based on NOx emissions from LDDVs from different countries and model years provided by IIASA. IIASA has also made the health effect calculations. This is not the very first calculation of health impacts for Europe. Notably, the Nature paper (Anenberg et al) came up with about 7,000 premature deaths due to excess NOx from LDDV. Their results were discussed and reported widely, but there was less focus on results in Europe, which we present here in detail.